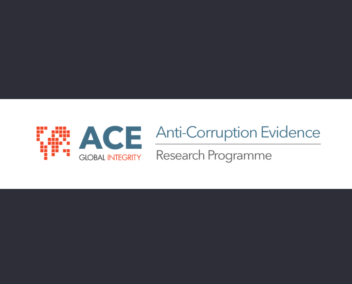 This research gathers insights into how local social norms, beliefs and expectations about others’ behavioural integrity are affected by and interact with the international legal architecture aimed at combating corruption and bribery. Using methods derived from experimental economics, we investigate trans-national differences in willingness to (a) engage in corrupt-like acts; and (b) initiate processes leading to the punishment of others who engage in such acts. We investigate the extent to which these differences can be explained by variations in beliefs about others’ behavioural propensities and the social appropriateness of the behaviours. Further, we test how behaviours and beliefs are affected when we vary (c) the country of origin of the potential bribe-payer (an investor) and (d) the country of origin of the enforcement officer. To ensure external validity, the experiment will be conducted in public service colleges and business schools, and triangulated against surveys of civil servants. To learn more about this project contact Principal Investigator Thorsten Chmura at Nottingham Trent University, UK at thorsten.chmura[at]ntu.ac.uk.